You know when there is that one place that you see and just want to go, but then it’s not exactly close to get to. So, when the opportunity struck that I was going to be in Burwood, there was no way anyone was going to take this away from me. Believe me, I was determined. All for this pot plant tea. The milk tea is just like your bubble milk tea, the foam was super thick that a straw is provided for you, as you will not be able to drink the tea without it. And the oreo crumbs were just enough for a nice textural bite when mixed through. The bowl of beef noodle soup was perfect. It was a cold day, and every bite was as hearty filled as possible. When it was first placed on the table, I was afraid of how spicy it would be. Believe me, it looked like a lot of chilli oil! Surprisingly, it wasn't too bad and I was eager for my next bite, before I knew it ... I had already finished my bowl. The beef brisket was so tender that it made my belly sing out with joy. I would love to pop back in to try their other little snack food as well. Perhaps another flavoured pot plant drink, matcha, taro or chocolate? What have you always wanted to try and snuck in a chance to do so? i may have been here way too many times already and also eaten the whole menu... the noodles are my favourite, but servings are so big i cant finish it! I had to google where is this place :)! ahahah! I should know more about Sydney :)! 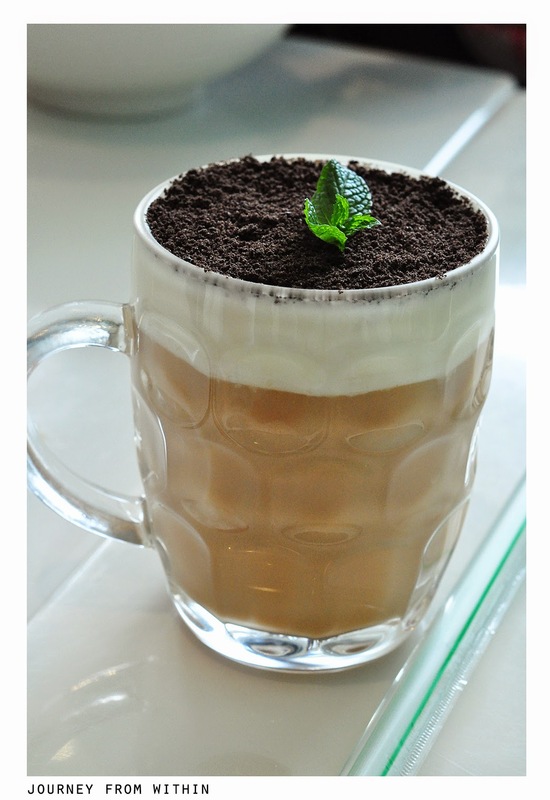 This plant milk tea looks delicious! Was the foam like the cappuccino one or even thicker? 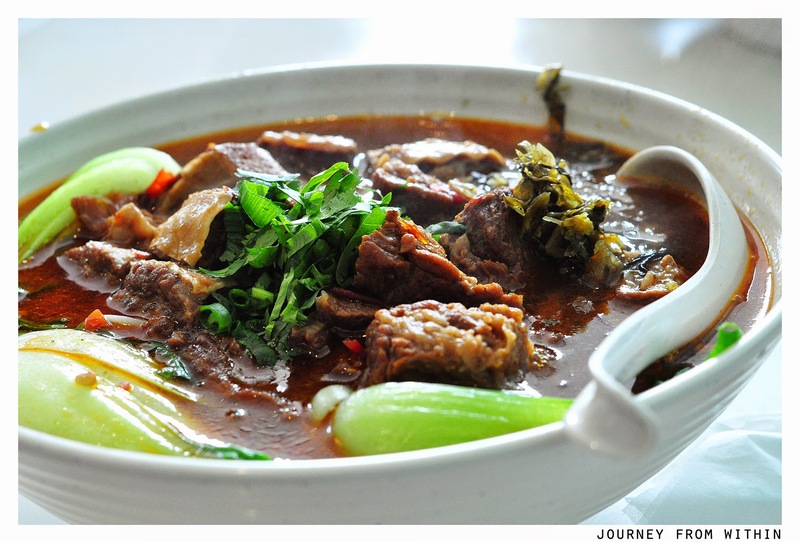 The beaf noodle soup seems to be the perfec meal for a cold winter day :)! The foam was thicker, much thicker... I feel like it was foamed up cream or something?